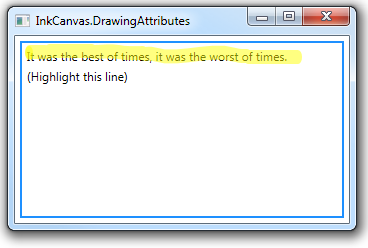 You can specify a number of different drawing attributes that affect how new strokes appear when drawing on an InkCanvas control. 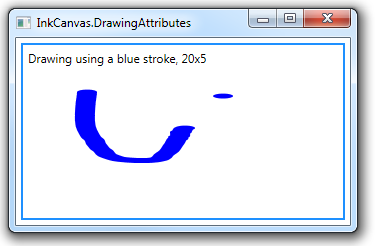 You set the DefaultDrawingAttributes property of the InkCanvas to an instance of the DrawingAttributes class, which contains properties that you can set to change how new strokes appear. Here are some examples of different values for Color, Width and Height. 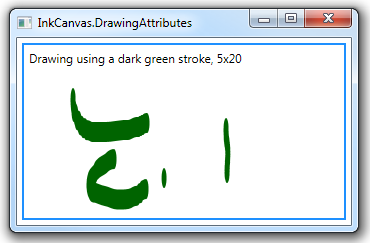 Here is an example of setting the IsHighlighter property to true.